Two wonderful Crafts for Lent and Easter! A really great blog for wonderful Christian crafts is catholic icing – I am always excited to see what Lacy will come up with next! 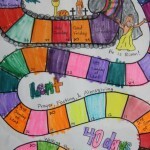 This year my kids did her 40 day Lenten countdown and really enjoyed colouring in the path as we counted down to Easter! 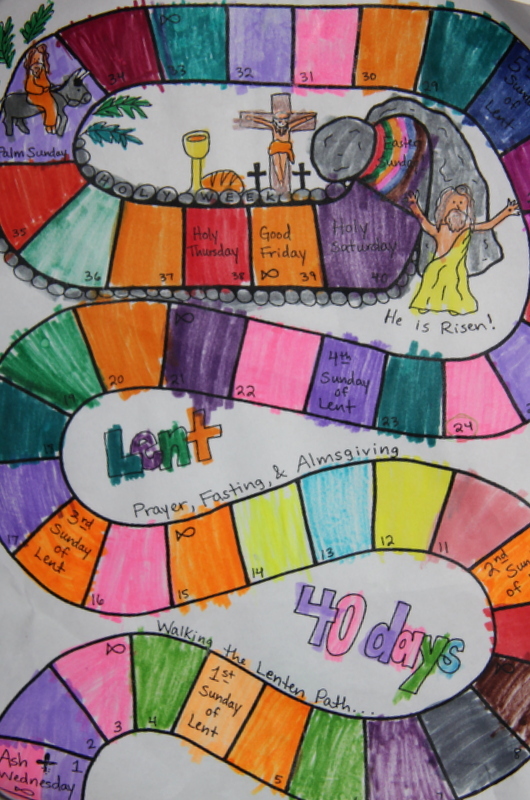 It was a great tool to use to sit down with the kids on Ash Wednesday to talk about what we would each like to do or give up for Jesus this Lent. It also was great as we got close to holy week to talk about how we were doing with those commitments and if we would like to maybe add anything new! You can get a free copy of this great craft at Catholic icing. The second craft my kids are loving from Catholic Icing is their free Printable Resurrection Craft. I saved this craft for Good Friday as I thought it was a great way to use it. The kids coloured in a few of the sheets as the day went on. In the afternoon we read from The Jesus Story Book Bible and then we taped Jesus on to the cross (with painters tape so it is easy to remove). This evening before bed we prayed a decade of the Divine Mercy Chaplet (to start the beginning of the novena) then each of the children placed Jesus on the bed in the tomb. Next we rolled the stones (taped with painters tape) and placed the guards outside the tomb. This is sitting on out table as our center piece till we can continue the story on Easter morning! 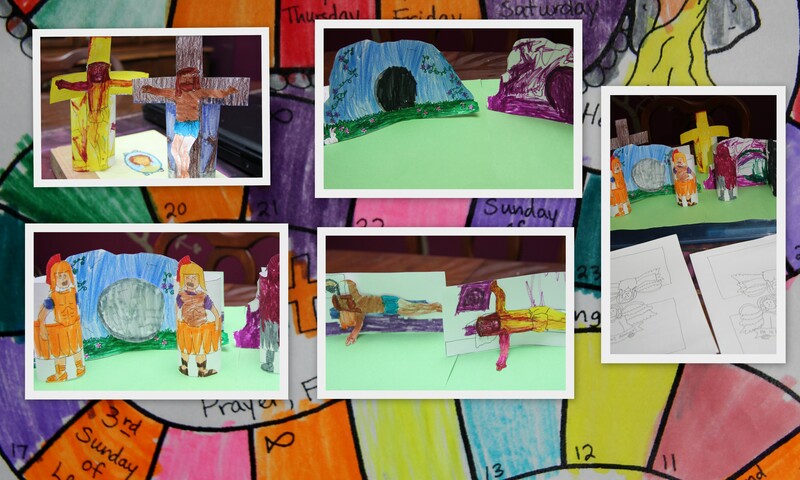 The kids will complete the remaining pieces of the resurrection story on Holy Saturday! Lacy is so talented to come up with the great craft! To be honest it was a lot of work for the kids to do all these pieces in one day – it was a good lesson in perseverance for my daughter. Next year I think we will work on the throughout Lent! For younger kids they even offer this in a colour version so you just need to print and go!